Our professional equipment and expert embroidery designers will make your message pop with crisp clean edges and vibrant colors. Professional equipment ensures that your job is top quality. Only PhillyStitch delivers beyond your expectations. Let PhillyStitch dress up your jerseys and other athletic gear so the whole team is on the same message! The industry's best equipment ensures that your lob looks perfect! 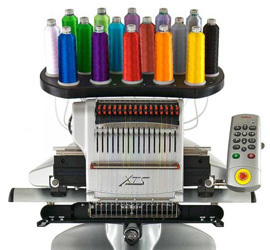 Logos, names, numbers and special dedications embroidered to your specs. Corporate branding, team logos on jackets, shirts and caps.